There is a Goddess that shines in every woman and a Protector in every man. Gather, Shine, and be Powerful! Interested in hosting your own Build A Prayer ceremony? Click here. Sacred circles have been around for many years providing support, wisdom, connection and inner strength for all who allow themselves to be open to receive. Coming together for sacred ceremony provides a powerful connection between you and other like-minded individuals. Adding lessons and knowledge within the gathering allows for wisdom to grow within each and every one of us. Please join one or more of our sacred ceremonies or enlightening workshops and experience the power of coming together with others that share similar interests. Beautifully illuminating the night sky, the full moon has long been a source of great power and mystery. It is an ideal time of the month to manifest change and provides the opportunity to set positive intentions and initiate balance in mind, body, and spirit. As we create sacred space, we foster inner awakening and renewal,connecting with our bodies and the moon through shamanic rituals, prayer and meditation, astrological insights, inner Goddess work, and intention setting. 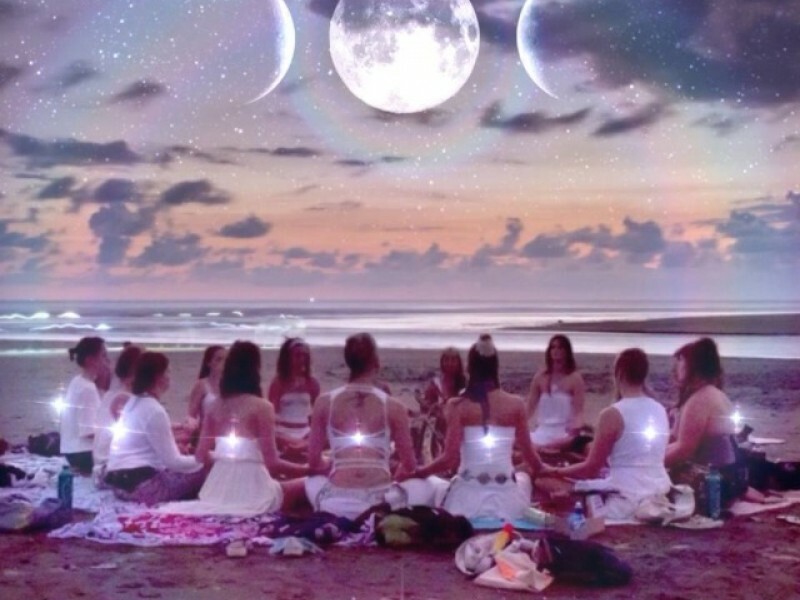 Join us at our monthly Full Moon Circles and harness the energies of healing, abundance, connection and wisdom. You will leave the circle feeling empowered, inspired, lighter, connected, having a newfound reverence and appreciation for the moon and your body's cycle, along with clarity in your professional and personal relationships. Feel yourself transformed. Interested in hosting your own Build A Prayer ceremony? Connecting with others fills your soul and warms your heart. Gathering together in sacred ceremony raises your vibration and deepens relationships. Consider hosting a Sacred Prayer Bundle ceremony and wild craft your very own living prayer. Whether you've heard it called a prayer bundle, mojo bag, blessing bundle or medicine bag, it's simple, powerful , and sacred. Make one for yourself or someone special. Join with friends and family to gift, share and build together in sacred ceremony.